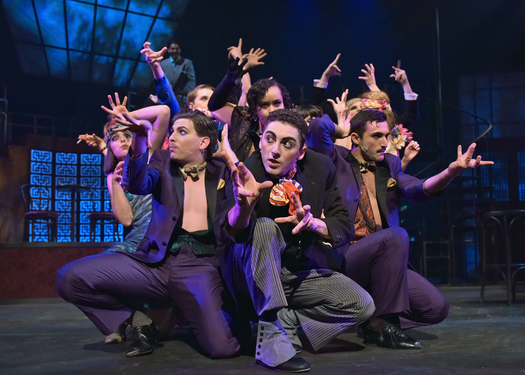 DANBURY, CT - Based on Joseph Moncure March’s 1928 poem, the musical “The Wild Party” will come to the stage at Western Connecticut State University for the first two weekends of November. Presented by the WCSU Department of Theatre Arts, the first round of performances will be at 8 p.m. on Friday, Nov. 9; at 2 and 8 p.m. on Saturday, Nov. 10; and at 2 p.m. on Sunday, Nov. 11. The following weekend, performances will be at 8 p.m. on Friday, Nov. 16; at 2 and 8 p.m. on Saturday, Nov. 17; and at 2 p.m. on Sunday, Nov. 18. 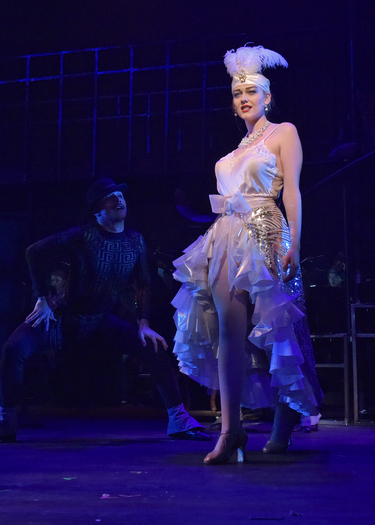 “The Wild Party” will take place on the MainStage Theatre of the Visual and Performing Arts Center on the university’s Westside campus, 43 Lake Ave. Extension in Danbury. General admission is $25. To purchase tickets or for more information, visit www.eventbrite.com/e/the-wild-party-tickets-45386445079 or call (203) 837-8732. Howard described his casting process as something that hinged on who would bring the most truth to the show, which represents the peak of the 1920s: living life on the edge, love triangles and unraveling surprises. The cast includes Kelsey Lepesko, of Stratford, as Queenie; Sergio Francisco Mandujano, of Norwalk, as Burrs; Isiah Bostic, of Hamden, as Black; Sasha Renae Brown, of Middletown, as Kate; Alaina Mueller, of Windsor, as Madelaine True; Mark Sumner, of Middletown, as Eddie; Brandon Richardi, of Boston, Massachusetts, as Jackie; Thomas Bergamo, of Wolcott, as Oscar; Mike Katz, of Monroe, as Phil/Dance Captain; Kayla Hansen, of West Haven, as Dolores; Joelle Tshudy, of Belvidere, New Jersey, as Mae; and Grace McGovern, of North Haven, as Nadine. The crew includes Director Howard, Choreographer Elizabeth Parkinson, Music Director David Baranowski, Producer Pam McDaniel, Production Manager Tom Swetz, Lighting Designer Scott Cally, Costume Designer Sharon Sobel and Scenic Designer Elizabeth Popiel. In recent years, Howard’s direction and reimagining of “Evita” received 10 National Awards from the Kennedy Center American College Theater Festival (KCACTF) and in 2016 Howard’s production of “Parade” received 14 national KCACTF awards followed by 11 national awards for his production of “The Drowsy Chaperone” in 2017. 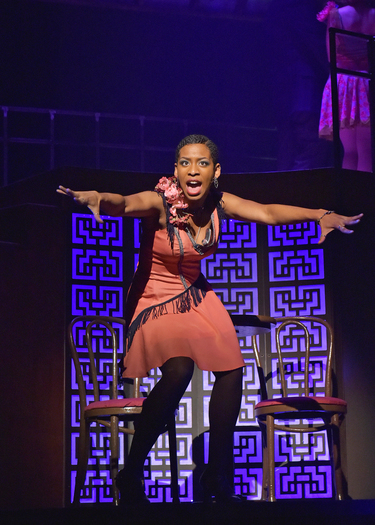 All three musicals received outstanding production of a musical and Outstanding Director of a musical.